Home / Fire Service & Rescue / Texts/Handbooks & Supplements / Company Officer, 3rd Ed. 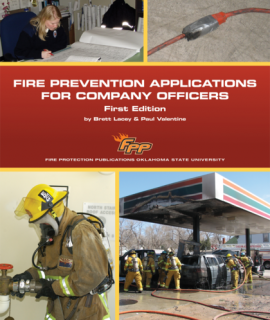 Based on the 2009 Edition of NFPA 1021, STANDARD FOR FIRE OFFICER PROFESSIONAL COMPETENCY, the third edition of COMPANY OFFICER provides vital information for those who seek certification as Fire Officer I or II. 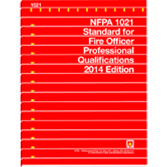 * Revised to meet the intent of the 2009 Edition of NFPA 1021. * New Learning Objectives validated by a committee of experts to ensure 100% compliance with the NFPA 1021 Standard. * New text design provides color coded objectives to easily differentiate Fire Officer I and II requirements. * Ensure NFPA Standard compliancy by reviewing the detailed guide at the beginning of book, which correlates validated learning objectives and chapter content and corresponding page numbers to the 2009 edition of NFPA Standard 1021. 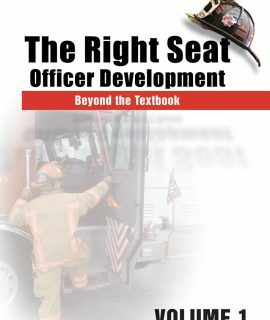 * Easily identify Fire Officer I and II requirements through an all-new design that highlights the content related to each of these operational levels. * Obtain proficiency of skills required for success on the job with “Officer Advice”, “Fireground Facts” and “Ethics” boxes. * Gain a more informed view of the Fire Officer position and develop critical-thinking skills with “Street Stories” and “Case Studies” that include specific accounts from officers in the field. * Updated Curriculum CD including a comprehensive training package for instructors.